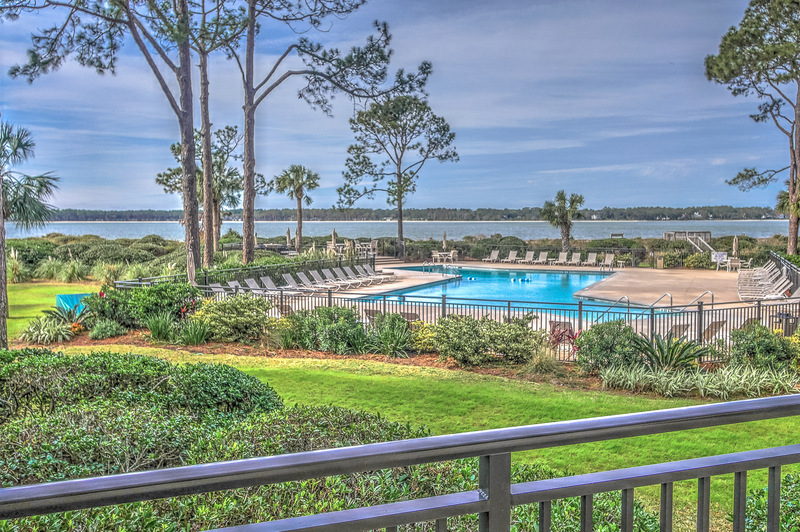 Gorgeous Views of Calibogue Sound from every room! 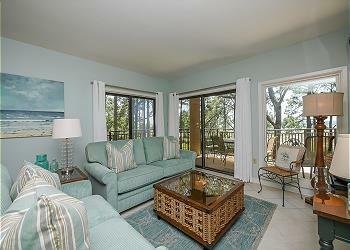 This stunning 2 bedroom, 2 bath beachfront villa is just fabulous! 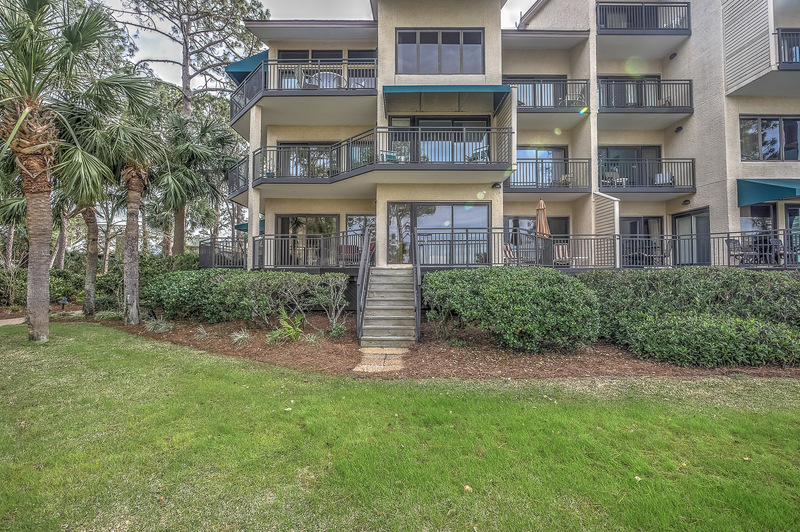 Located on the 1st floor this beautifully updated villa looks out over the pool to the beach and Daufuskie Island. 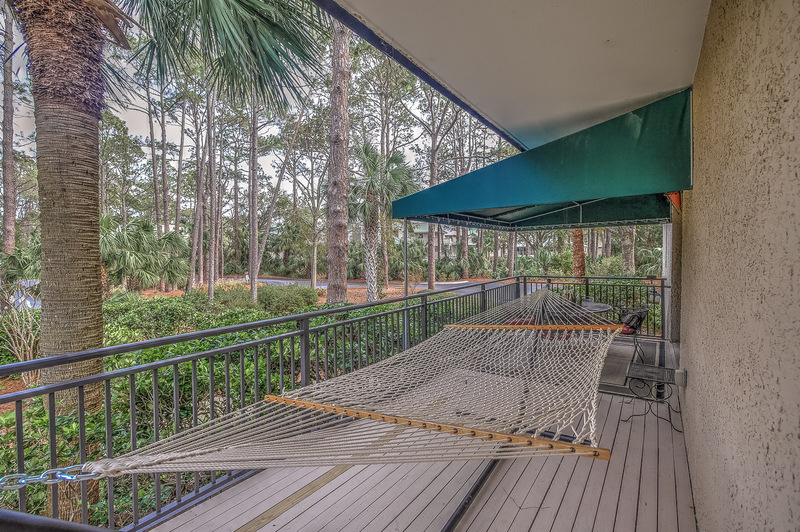 You can walk right out of your living room to your wrap around deck with dining table and the beautiful pool area. The main area of the villa encompasses an open kitchen with breakfast bar, dining area that seats 6, and living room with a large TV. The master bedroom is furnished with king bedding and has a private en-suite bathroom. The 2nd bedroom has 2 Queen beds and private bath. Both bedrooms have access to the wrap around deck. In addition to a sparkling on-site swimming pool and resident grilling area, you are within mere walking distance to the enchanting South Beach Marina Village, filled with endless recreation, wonderful dining, and interesting shopping. The twinkling lights of Daufuskie Island across Calibogue Sound provide added magic on warm summer evenings. With the sugar sand beach at your door, you are sure to have a memorable vacation experience. •	The Vacation Company App will contain all of your check-in information (Keyless door codes, Wi-Fi Codes and other information pertinent to your rental).